CherYsh is committed to promoting entrepreneurial opportunities for rural women in Haliyal by identifying skills to develop their potential in rural home-based industries. CherYsh has generated livelihood opportunities for rural women through Kitchens that produce dry spice mixes and supplies to local markets. 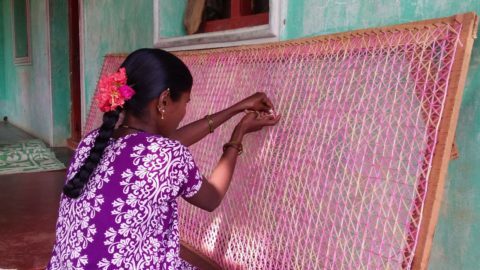 By offering them access to the right resources, CherYsh has turned rural women into entrepreneurs and empowered them through home industries. Today women in Haliyal are producing, packaging and earning from steady supplies of spice mixes to local enterprises like the Akshay Patra and EID Parry. They have gained the confidence to showcase their packaged spices in local village fares. They have bank accounts in which they deposit their savings and this is just the beginning of financial self-sustainability. 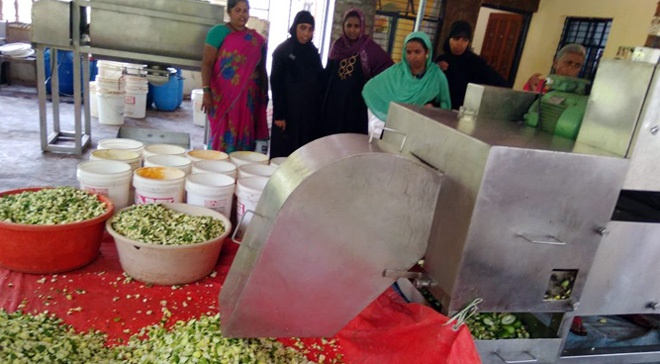 Members of CherYsh Kitchen visited a commercial pickle-making unit in Kyrakoppa village near Dharwad in the month of April. The visit gave them exposure to the various processes involved in the collection, preparation and preservation of pickles in large quantities. This visit boosted the confidence of the Kitchen women in expanding their pickle-making enterprise.